For those that maintain a vigorous lifestyle, it is important that your body have high protein snacks to choose from. Whatever your day to day routine may be, from arduously hitting the gym several times a week to working late into the night in the office, your body needs a way to refuel no matter what the specific action is. Protein snacks allow the body some relief in lieu of a full meal and boost energy levels. 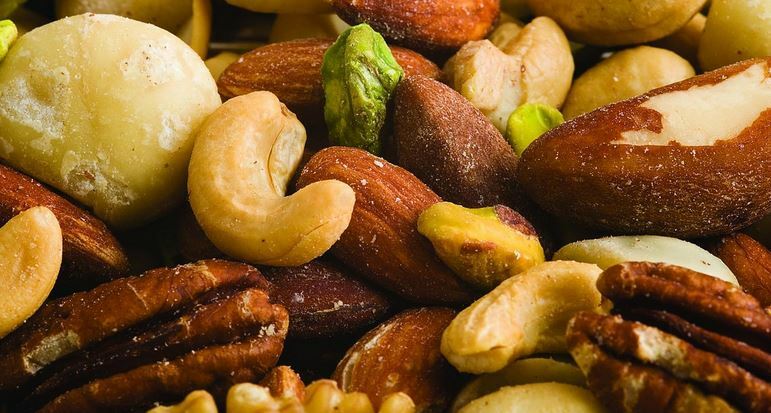 There are hundreds of options on the market now when it comes to which snacks to select, but it is important to keep in mind that the average person needs to have one gram of protein per one kilogram of body weight. If you are not maintaining the recommended level of protein in your daily intake, here are some suggestions and guidelines for you to consider. There are many snacks out there to choose from to keep your protein uptake at optimal levels. Low-Fat dairy products like cottage cheese and yogurt are considered excellent sources of calcium, protein, and many other vitamins and minerals according to doctors that specialize in dietary counseling. Dairy products that are high in fat content contain a considerable amount of calories filled with saturated fat. As little as half a cup of cottage cheese, for example, can contain around 16 grams of protein, yet only two grams of fat. It is suggested to reduce or eliminate ice cream and whole milk from your diet. Additionally, there is always the option of low-fat cheese to supplement your diet. Oatmeal provides a winning combination of protein and carbohydrates and is touted by fitness experts for the energy it provides before an intense workout. A small packet of oatmeal contains nearly five grams of protein. If combined with apples or other nuts, this snack can be boosted even further. As everyone knows, meat is one of the best, if not the best, protein sources available out there. Leaner cuts of meat (chicken, fish, turkey) are the better types to consume that are healthier and lower in cholesterol. Processed meats like bacon and deli meat are not advisable for healthier diets as they have been linked to a higher rate of cancer in people. Beef jerky, considered a healthy choice contains only 70 calories per ounce, but is fortified with about 11 grams of protein. It is possible to find beef jerky from health food stores that is not laden with large amounts of sodium. Egg whites are another alternative, offering about four grams of protein per egg, and only 15 calories. Cook a few at a time for a protein-packed snack. A can of tuna can provide an excellent source of protein as well, with about 25 grams of protein packed into a small can. Peanut butter is considered a member of the meat family and the reasoning behind this is simple as it provides large amount of protein per tablespoon. When it comes to protein bars, there are a multitude of them on the market and it must be stressed that some of them are less effective than others. It is important to shop around before choosing a bar as many can be high in caloric content, as well as unnecessary carbohydrates and fat. A good protein bar can contain upwards of 20 grams of protein, with only five grams of fat. Armed with this knowledge about protein snacks, the next thing to factor into all of this is how to balance this into your everyday dietary lives. A lot of people lean towards ridding their diet completely of fats and carbohydrates, but it is advisable to not completely eliminate them as the body needs them as an energy source for workouts as well as other functions that the body performs throughout the day. The core essentials to a proper diet is the right combination of carbohydrates like whole grain pastas and rices, simple carbohydrates like raw fruits and uncooked vegetables, and a minimal amount of fat for your body to work at optimal levels. A steady supplement of high protein snacks can complement any diet. Snacks with protein can prevent you from getting overly hungry at meal times and may help to prevent episodes of over-eating.